Situated in one of London's top music venues at The Slaughtered Lamb in Farringdon, we are hosting a night of stunning acoustic sounds from some of the best artists on the music scene today. Bpositive presents promises to deliver an evening full of top quality artists all for a great cause. 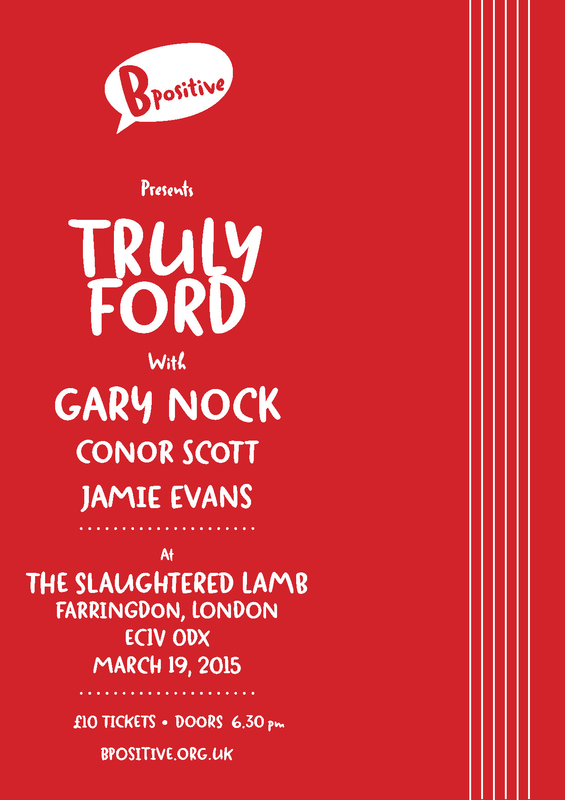 Headlining the night will be the incredible Truly Ford along with the fantastic talent (and Bpositive supporter) Gary Nock as well as support from the up-and-coming huge talent that is Conor Scott and the stunning Jamie Evans.